Jenny & Søren of Copenhagen Streetstyle had a nice exhibition at Gallery 22 during fashion week. The good thing about the cold: cool drinks as you can see on the picture. Kasper is one of the two gallery owners. 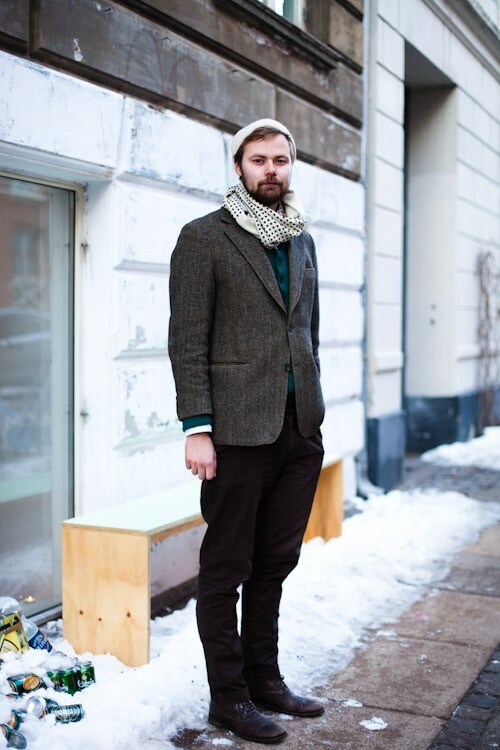 His look: Hat & scarf 2nd hand, grandfather’s jacket, sweater by Sibin Linnebjerg, April77 pants (self colored) and Zara shoes.